The circus skipped town on Saturday with all of its animals in tow. 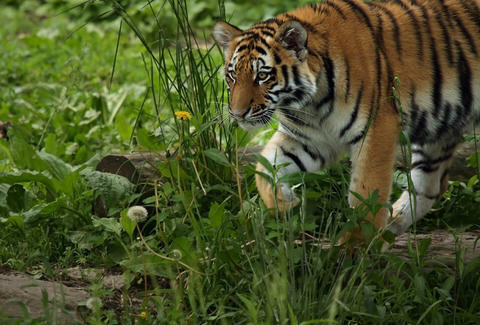 The nearby big cat sanctuary isn’t missing, well, any big cats. 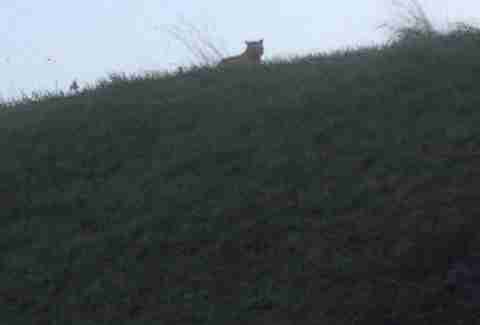 Yet, somehow, there’s a freakin’ TIGER on the loose outside of Paris. And nobody knows where it came from. Just, greeeaaaaaat! Yeah, the search is on in the town of Montevrain (a suburb of Paris near Disneyland) after a woman reported seeing a big cat in a supermarket parking lot early this morning. From the creature’s footprints, specialists confirmed that the misplaced animal is a young tiger. According to the town’s Facebook page, police/firemen tracking the animal have limited their search to a nearby section of woods, and are monitoring the area by helicopter. Meanwhile, locals have been advised to stay inside while the hunt (with tranquilizers, of course) continues. Still, no animals have been reported missing, and the town mayor’s office “dismissed” the notion that the tiger found its way out of either the circus or the park. And Disney, in case you were wondering, doesn't have tigers. Who knows, maybe Mike Tyson owns a house outside the French capital? Chloe Pantazi is an editorial assistant on Thrillist's travel team. One of her favorite books as a child was The Tiger Who Came to Tea, though she's certain she would hate the reality. Follow her on Twitter at @ChloePantazi.